UPDATE! Kemper Helistop issue is back! Public meeting this Thursday, August 1, 2013, 6:00PM! More than two years after the Bellevue City Council approved the Bellevue Place helistop, Kemper Development is now requesting to eliminate a critical safety condition of that permit: the restriction of the helistop to twin-engine helicopters only. Despite the big change being proposed, City staff is classifying this as a minor “administrative amendment” which requires only staff approval. That means NO consideration before the City Council and NO public hearing for concerned citizens to comment. On top of the safety concerns and limited public comment opportunities, the legality of the Bellevue Place helistop is now in question. Just months after Kemper Development was awarded its Conditional Use Permit in 2011, all future non-emergency helistop facilities in the City of Bellevue were banned. If the permit is brought up to code, then the helistop would now be illegal. Make your concerns known by emailing City planner Carol Hamlin (chamlin@bellevuewa.gov) with your comments by this Thursday, August 1. The City will also hold a public meeting that evening at 6PM inside City Hall Council Chambers (Room 1E-126). The Kemper Helistop Conditional Use Permit Appeal is not over! 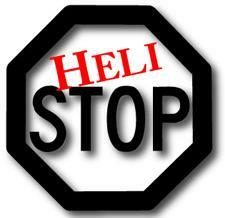 A limited public appeal hearing on the Helistop went before Council on Nov. 2, 2009 and continued on Nov. 15, 2009. The matter was remanded to the Hearing Examiner by Council to take further information and argument on the FAA response letter. The remand hearing took place on Jan. 21, 2010 and Feb. 4, 2010. The Hearing Examiner issued his final clarified report and recommendation to Council on May 4, 2010. On July 6, 2010, the continuation of the limited public appeal hearing went before Council and was continued to July 12, 2010 and July 26, 2010. At the Extended Study Session on July 26, 2010, the Council unanimously agreed on a Motion for Second Remand to the Hearing Examiner. The second remand hearing is scheduled to go forward on WEDNESDAY, AUGUST 25th, 2010 at 10AM in City’s Council Chamber (1E-126). On July 6th, 8PM in Bellevue City Hall Council Chambers, City Council will address this recommendation. It is CRITICAL THAT YOU ATTEND THIS MEETING!! This is our last, best chance to take a stand to keep Bellevue skies clear, clean, safe and quiet. Be there to remind Council members that you don’t think that private heliports belong in residential and commercial zones and to show that you’re concerned about the long-term implications of approving a private helistop in the heart of downtown Bellevue. This is a public meeting although there will be no public comment. Save the date, mark your calendar and please, ATTEND THE JULY 6th HEARING! In November, 2009 during a Bellevue City Council Meeting, Council voted unanimously to remand the Kemper Helistop matter to the Hearing Examiner. The remand hearings were held on January 21 and February 4, 2010 and on March 10, the Hearing Examiner submitted his recommendation that Council remand the KCD Conditional Use Permit Application back to City staff for further investigation and analysis. Today, the Bellevue Hearing Examiner recommended that the Kemper Development Private Helipad Conditional Use Permit Application be remanded back to Bellevue City Staff for further study. This recommendation is going to be submitted to Bellevue City Council for their review. The Council can either adopt the recommendation and send it back to City staff for more review or overrule the Examiner and make a final decision. This will be a Council Meeting that you (and all your friends and neighbors) will want to attend! The Bellevue Land Use code requires that all applications to construct a heliport must include “the results of the appropriate Federal Aviation Administration review.” On November 16, 2009, Bellevue City Council sent the Kemper Development Private Heliport Conditional Use Permit application back to the Hearing Examiner to take further evidence on whether this condition had been met. After two days of hearings on this issue, the Hearing Examiner has determined that it is impossible to tell whether the FAA’s review was “appropriate” because KDC submitted two different, inconsistent applications to the FAA and the records produced by the FAA about its investigation were incomplete. Under the circumstances, the Hearing Examiner’s recommendation that the only solution was to send the matter back to the City staff and require the City staff to obtain complete information on the FAA review of the helistop proposal and issue, as necessary, a new staff report. The application now will return to the City Council, which will have to decide whether to accept the Examiner’s recommendation. A date for the City Council’s hearing has not been set. Check back here and we’ll keep you updated. Read the article and make your comments! At the November 16th Bellevue City Council meeting, a decision was made that the Kemper Helistop Conditional Use Permit issue be remanded back to the Hearing Examiner for the purpose of determining if the applicant had received a response from the FAA (Federal Aviation Administration) to FAA Form 7480-1, confirming that the FAA has no objection to the use of the airspace of the proposed helistop. Kemper Development Company applied for conditional use permit approval to install and operate a private-use helistop (47′ x 53′) on the roof of the existing Bellevue Place Bank of America building. The City of Bellevue Hearing Examiner issued his decision with conditions approving the conditional use permit on July 20, 2009. Appellants Ina Tateuchi, et. al. and Su Development timely appealed the Hearing Examiner’s Decision to the Bellevue City Council. A closed-record hearing was held before the City Council on November 2, 2009. Council continued its deliberations to November 16, 2009. During Council’s deliberations on November 16, 2009, Council remanded to the Hearing Examiner the limited issue of whether the applicant had received from the Federal Aviation Administration (FAA), its response to FAA Form 7480-1, confirming that the FAA has no objection to the use of airspace of the helistop (Condition X.A.5). Council limited the scope of the remand hearing to reopen the record for the narrow purpose to hear testimony from the appellants, applicant, and city and their witnesses regarding the FAA response to the applicant’s application for FAA review of the proposal and the consequences from the FAA letter. Remand Hearing Date: Thursday, January 21, 2010, 7 p.m. The Bellevue City Council held an initial hearing on the heliport appeal on November 2 to a packed crowd, with the vast majority of those in the hearing room audience definitely on the “No Heliport” side of the debate. the heliport application was deficient because it did not include the results of the FAA review of the heliport as required by City Code. the abbreviated noise study that was conducted was inadequate to assess the impacts of the project. the approval of a heliport for the benefit of a few people at the detriment of the thousands of people who live and work in downtown Bellevue was inconsistent with the City’s goal of a vibrant downtown area with a mix of residential and commercial uses. At the end of the hearing, the attorney for Kemper Development asked the Council for more time to respond, claiming he was not prepared to fully answer the arguments that had been presented. After a brief discussion, the Council allowed him to submit a written response no later than November 9, not to exceed 5 pages. On November 9, KDC submitted nine pages of argument, well above the amount allowed by the City Council. The City Council has been asked to disregard the KDC filing because it so significantly violated the page limit imposed by the Council. Attorneys for the Appellants have also asked the City Council for an opportunity to respond to the new KDC arguments. The Council has scheduled further discussion of the application and the appeals for the regular council meeting on November 16. It is important that opponents of the heliport attend the meeting and make the Council aware of the considerable public opposition. Bellevue City Council is set to hear the Kemper Development Conditional Use Permit Appeals on Monday, November 2, 8:00PM at Bellevue City Hall Council Chambers. Only the applicant and appellants are able to speak but it is a public meeting and WE URGE YOU TO ATTEND THE MEETING as a demonstration to Council that you are concerned about the issue and paying attention to this discussion. Once the precedent is set, it will be very difficult to undo! This is our last, best chance to take a stand to keep Bellevue skies clear, clean, safe and quiet. The Bellevue City Council Monday voted unanimously to consider changes to the city’s helicopter landing regulations. The council rejected proposals for an immediate moratorium on helistops and helipads or a code amendment prohibiting all but emergency helicopter landing facilities citywide. Deputy Mayor Claudia Balducci supported these proposals, saying that each would offer a “time-out” before any new helicopter landing permit applications are made. Neither proposed action would have applied to a helistop permit now before city officials. Kemper Development has obtained a conditional use permit to locate a helistop atop the Bank of America building downtown. An opposition group, citing concerns about noise and safety, has appealed the permit, and the council must make a ruling in November. Mayor Grant Degginger argued against a prohibition or moratorium on helicopter landing facilities, asserting that it would be difficult for residents to separate the council’s action on that from the ruling the council must make in November on Kemper Development’s permit application.